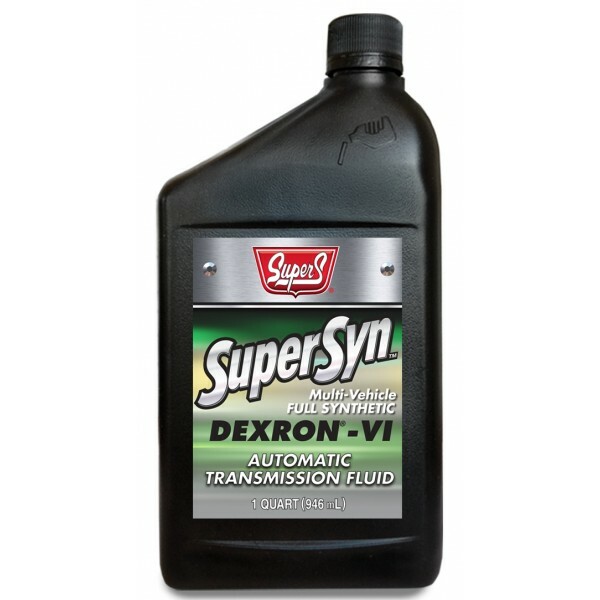 Super S SUPERSYN DEXRON®-VI Multi-Vehicle Full Synthetic ATF was specifically developed for GM automatic transmissions manufactured beginning with the 2006 model year. It is the only GM approved and licensed product for all GM vehicles requiring DEXRON® ATF. It is a low viscosity, full synthetic ATF formulated with a premium additive package to provide superior performance, protection and service life as compared to conventional ATFs. It flows better at extremely low temperatures, reducing premature wear at start-up, and provides superior protection and performance at high temperatures, and under extreme loads and severe operating conditions.